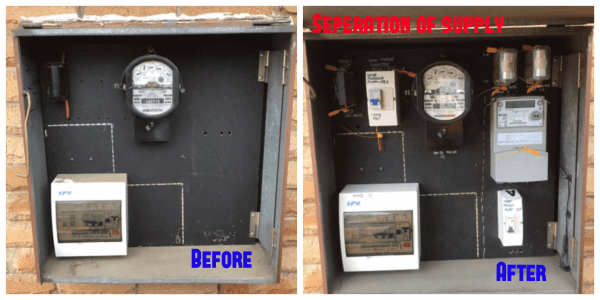 Dave Fenech Electrical Services Pty Ltd can provide you with a new electricity meter installation or a replacement for all types of meters and situations. We are a certified level 2 service provider which makes us licensed to provide and install 1 phase and 3 phase meters. We also offer off-peak metering, solar metering, granny flat metering, split electricity metering, and smart digital meters. Can a new meter save you money? Call 9833 9566 to find out how. Are you a home owner or builder that is looking for a level 2 electrician or a residential/domestic electrician? We service all areas of Sydney, NSW and with Dave Fenech Electrical ServicesPty Ltd operating for over 20 years we know how to complete all electrical jobs. We can help you decide what type of metering is best for your unique situation. Before you can even use electricity at your home or business it has to be metered so that there is a record of your consumption. A meter box is installed on the side of your home or building and this allows the electricity provider to keep track of your usage. Depending on your situation there are several types of meters to choose from. Since we are a level 2 certified electrician we are licensed for all types of electricity meter installations. The following are the different types of metering services that we provide. We can replace old meters, if needed, during a switchboard upgrade. We can also replace your 1 phase meter for a 3 phase if you are planning on running any 3 phase equipment. This type of system is more reliable and can correct the power so that a balanced voltage is created. Having balanced power will give your equipment a longer life-span. If you do not have a high demand for hot water during the day you might think about installing an off-peak meter. You are subject to a high electricity rate if you are currently heating your hot water tank during peak times. Off-peak electricity meter installation will allow water to heat overnight during the time when electricity demand is low. In return, this may save you money on your electricity bill. Installation of an off-peak meter will not require any modifications to your plumbing or hot water tank. The meter will be installed and then a small modification will be made to your switchboard. Off Peak Hot Water Times Sydney. Many people are installing solar panels. Solar panels and the respective electricity meter installation helps to save money and helps the environment. If you are installing solar panels, you will also have to install a solar meter. 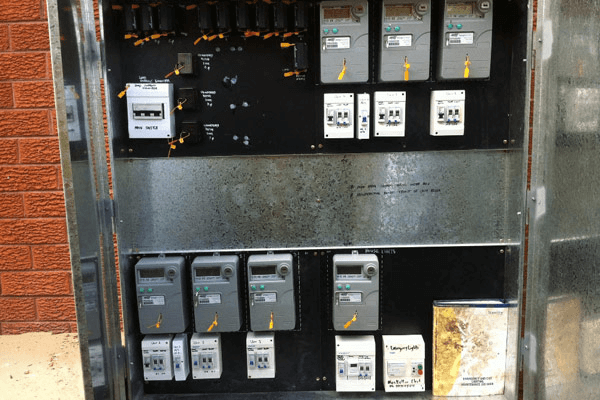 These meters will read and record the amount of electricity you generate. You can use this generated electricity in your home. Any surplus electricity can be sent back into the network. The type of solar panel installation you are performing will determine the type of electricity meter you will require. 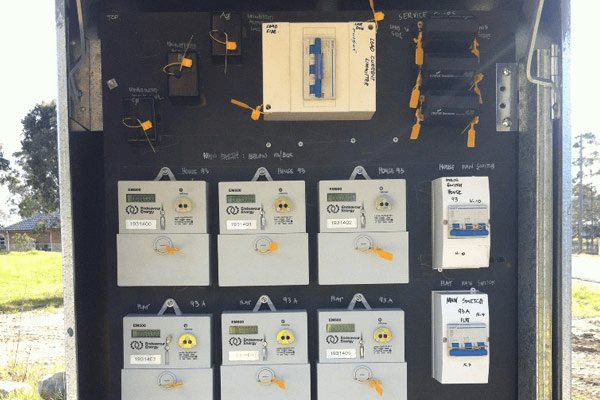 Different types of installations require different meters. Dave Fenech Electrical Services Pty Ltd will make sure that you get the correct meter installed. Do you have a granny flat or multi-residential building? If so, you need electricity meter separation. With granny flat electricity meter installations you will no longer have the hassle of splitting up electric bills. Your tenant will now know exactly what their electricity consumption is. The use of granny flat meter separation could possibly lower your electricity rate due to the fact that it might remove you from the higher consumption bracket. Smart digital meters can really come in handy when you are trying to lower your electricity consumption and save money. Using one of these meters allows you to keep an eye on your electricity usage remotely. By doing so you can shut it off when you aren’t home. It will also send a notification to your provider if you are having an issue. These devices digitally measure your energy use, so it will no longer be read by a meter reader. The data is sent remotely to your electricity provider. What’s stopping you? We service all areas of Sydney, Penrith and Blacktown NSW. Fill in the Contact form or call today to book in for a free quote 9833 9566. 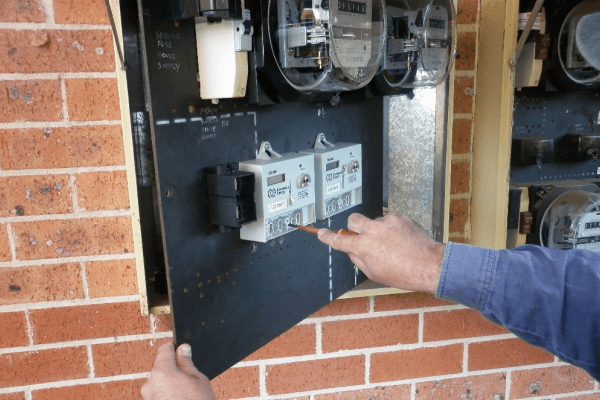 Here at Dave Fenech Electrical Services Pty Ltd, we can help you with any type of electricity meter installation you need.